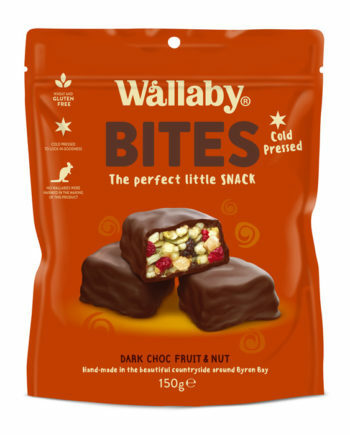 Wallaby Bites are made from rice, nut seed and fruit. Free from gluten and wheat, these perfect little snacks are cold pressed to lock in the flavour. Great to share between family and friends – or enjoy all on your own!